This year all students will have iPads. You have the option of purchasing insurance through the school for $35. You can pay for this through your child’s EZ School Pay account. 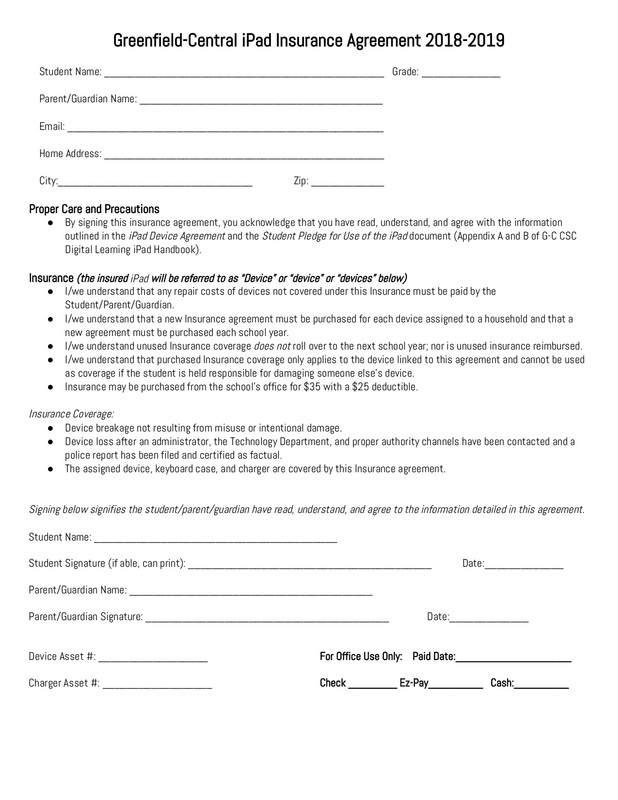 Please print and return a copy of the Agreement below if you will be purchasing the insurance.